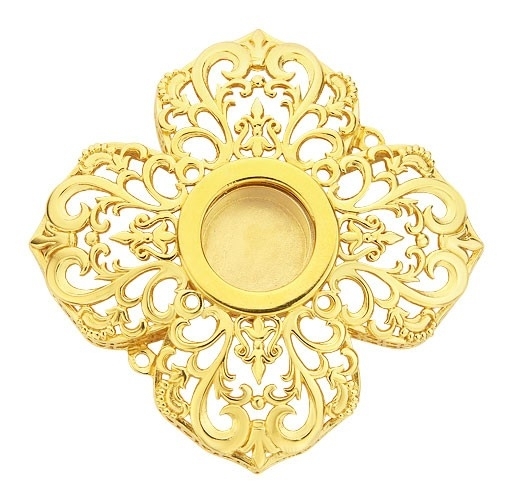 Church reliquary - A841 - Istok Church Supplies Corp.
A large, elegant, applique reliquary is made of brass and is covered with high-quality gold-gilding, galvanized. This application technology guarantees an invariable appearance of the product for a very long time. 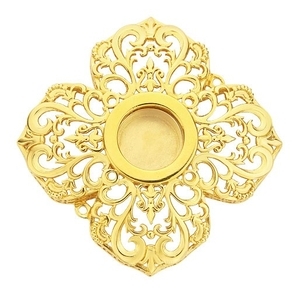 The entire surface of the reliquary is a wreath of floral see-through ornamentation. The place under the holy particle is a large one, 2 cm in diameter, covered with organic glass. The reliquary is realized in a set with special gilded studs.